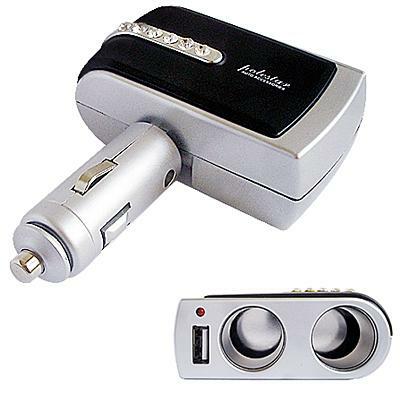 Simply plug into car's cigarette lighter socket. Run multiple accessories at one time. Very convenient and easy to use. Triple socket with 12V / 24V output. USB charger output to 5V. Swivel adjustment allows placement in different angles.